You probably didn’t know that Cape May is one of the most haunted places in America. That’s right. Things get a little spooky around her in October, beginning with MAC’s Halloween Happenings from October 12 through 31. Each year MAC offers a unique collection of tours and events to celebrate Halloween. If you’re a fan of ghosts, spirits and all things that go bump in the night, now is definitely the time to visit Cape May. From the 1879 Emlen Physick Estate to a host of bed and breakfasts with resident spirits, you’ll find plenty to get your heart pumping. 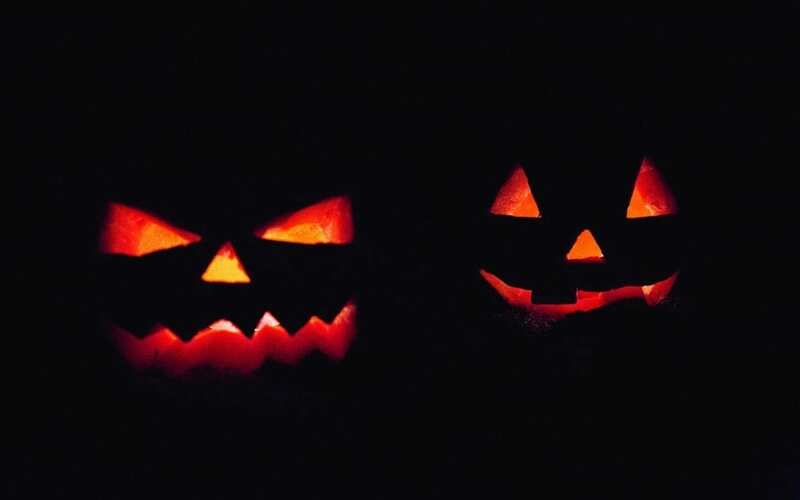 Here are some upcoming Cape May Halloween events you won’t want to miss. If you love Halloween and Department 56, don’t miss this collection on view at the Physick house from 10am to 3:30pm. Dozens of spooky characters, all created in the exquisitely detailed Department 56 style, are awaiting your visit. Admission is free and guests should enter at the enclosed entrance porch of the Emlen Physick Estate – 1048 Washington St.
On this tour, you’ll take a trolley to Cold Spring Presbyterian Cemetery to spend some time at the graves of Dr. Emlen Physick and his family. You’ll listen to electric voice phenomenon recordings captured by estate staff followed by accounts of paranormal activity in the Physick house as reported by guests and tour-goers. Then, you’ll have an opportunity to discuss discoveries with those who know the house intimately. The tour lasts about two hours and begins and ends at the Physick Estate. Tickets are $35 can be purchased online or in advance at the Washington Street Mall Information Booth or the Carriage House Visitors Center. Who can say no to trick or treating?! At the Physick Estate you’ll find spooky ghouls and ghosts with plenty of treats for everyone. Trick or Treating is free and takes place on October 31 from 5pm to 7pm. Every year the grounds of the Physick Estate are transformed into a spooky Halloween showcase: Scarecrow Alley. Scarecrow Alley features homemade scarecrows – from the ghoulishly gruesome to the foolishly funny! Best of all? You get to vote for your favorite! Visit the Carriage House Gallery at the Physick Estate and cast your vote for your favorite scarecrow. Coming up on October 19 is the annual séance at the Physick Estate. Here, twenty-five brave souls will spend a late night in the haunted Physick Estate with medium Craig McManus. Craig will share his experiences and perhaps channel a spirit or two. Admission is $50. Harry’s Ocean Bar and Grille is open seasonally for breakfast, lunch and dinner – May through October. Our last full day of service in 2018 is October 28. So, make sure to join us before month’s end for delicious specials and great cocktails in celebration of Halloween. Though we’ll be closing our doors for the winter, we’ll look forward to seeing our guests next Spring to kick of the resort season in Cape May.